1. Former President and Kurunegala District MP, Mahindra Rajapaksa who is responsible for ruining this country by allowing his family relatives and cronies to plunder the country’s economy and, his siblings, former defense secretary Gotabaya Rajapaksa who unleashed terror through the white van culture that isolated the country internationally now seem to be engaged in an untiring effort to throw the country again into “Vipath Maga”, the destructive path. Instigating corruption and terror and Maintaining illegal armory thereby depriving the Government of its due income, are some of them. 3. Instead of proving himself his innocence before Courts against such charges that have already been leveled against him, he has retained leading lawyers to obtain anticipatory bail orders against those charges. Not only such charges against him are being investigated, charges of the kind are being investigated against the other members of the Rajapaksa family as well. It is crystal clear that Rajapaksa siblings have been endeavouring to grab ruling power once again by misleading the public because they are impatient to put these legal cases against them under carpet and exploit the national resources once again, and it is not for their special love for the country. 4. Not only that, they have been envious of this Government as we were able to strengthen the local economy despite many challenges after 2015 and, they have also been fabricating statistics and distorting the truth in an attempt to mislead the public. 5. Even in the face of such challenges, the government has been able to strengthen the economy of the country and its administration better than in the past. When there was an economic development program supported by the private investment in the 1990s, the export earnings were 30% the Gross Domestic Product. But they never say that our government was compelled to take over an economy with a dwindling export income of 12% in 2014. Not only that, they do not say that our government took over a debt-ridden economy. 6. Kurunegala District MP, Mahinda Rajapaksa has charged the Unity Government has to make the highest recorded debt repayment of US$ 4.2 billion in 2019 in the history due to the debt crisis created by the Yahapalana government. The following fact file would help Mr. Mahinda Rajapaksa to restore his already lost memory and regain his mindfulness. 7. After Independence in 1948, the highest amount of foreign debt has to be paid in 2018. The total foreign debt to be paid this year is US$ 2,845 million and of which US$ 1,789 million has to be paid for foreign debts which were borrowed before the year 2015. Only an installment of US$ 1,056 to be paid for the foreign loans borrowed after 2015. Accordingly, 63% debt installments to be paid this year are repayments of debts that had been borrowed during Mr. Rajapaksa’s tenure as finance minister. It was at the level of 75% in 2017. 8. This crisis will further worsen next year. 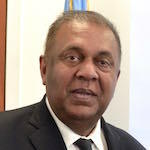 US$ 4,285 million have to be paid in 2019 and of which UD$3,315 or 77% of the repayment are for the debt obtained during the tenure of the Rajapaksa regime. 9. Another US$3,768 million will have to be paid as loan installments and the interest in 2020 and of which 77% or US$2,905 million is the debts that were borrowed before 2015. Only US$ 863 million have to be paid for the debt that was borrowed after 2015. In 2021, 83% of the foreign debt installments will have to be paid to repay the debt taken before 2015. In addition, even in 2030, 73% of the repayments will go to pay the debt that were obtained during Rajapaksa regime for the waste, fraud and corruption committed by the oligarchies of the Rajapaksas. 10. The loan installment to be paid in 2019 includes a US$1,000 million which was obtained on January 6th, 2014 at 6% interest to be paid within five years and, a US$500 million obtained on April 7th, 2014 at 5.1% interest to be paid within five years. As these two loans that amounts to US$1,500 million that have been obtained at commercial rates will be matured in 2019 and the entire loan should be repaid in bulk with full interest at one stretch. The Mahinda Rajapaksa regime obtained these loans in a hurry in 2014, not for the development work but for the election where they lured unsuspected voters thereby distributing cheap items such as “Sil Redi”. 11. After this Government was voted to power, it has obtained foreign debts of US$ 12 billion during the last three years and, 6 billion out of which was from International donor Agencies and under bilateral agreements at concessionary interest rates. They have been spent for various projects. These loans were taken neither under commercial basis nor for consumer purposes as Mr. Mahinda Rajapaksa attempts to interpret. 12. 48% out of the total foreign debt obtained after 2015 have been used to repay the debts that were barrowed by the Rajapaksa regime. Although this government was destined to shoulder such a heavy debt burden in 2015, it has been able to take steps to implement development activities at a fast pace than that of the Rajapaksa regime thereby assuring more direct benefits to the people. 13. The allocations made by this government for education, health and housing are the best proof to such claims. Although 1.8% of the GDP was spent for education in 2014, it was gradually increased up to 1.9% in 2017. It will further be increased up to 6% in the next few years. The allocation for health will be increased up to 3.5% of GDP in the next few years. The allocations for public welfare have been increased to 265 billion rupees in 2017 from 165 billion rupees in 2014. It is an increase from 1.6% to 2% of GDP. 14. Soon after this Government came to power, it pledged the public servants to increase their salaries by 10,000 rupees because their salary was not increased by at least one cent since 2006.This Rs.10, 000.00 increment has been transformed according to 1:4 scale thereby the salary of all public servants will be increased by 107% in 2020 to that of their salaries in 2014. 15. Comparing to the prices of powdered milk, domestic gas and fuel in 2014, they are still at a lower level and, when public servants’ salary is inceased by 107% in 2020, I reiterate that it will help people to increase their income and maintain the cost of living at a low level. Althoug prices of diesel, petrol and kerosenewere increased recently, people do not forget that even the current prices of such items are lower than that of the prieces prevailedduring Rajapaksa regime. 16. The economy during the previous government, handled by their cronies and henchmen didn’t have any proper system in place to implement the economic development in a manner that would bring direct benefits to the people. The Rajapaksa siblings who ruled this country under such a background have been attempting to regain power by throwing the people into “Vipath Maga” the destructive path. Therefore, we urge the people to defeat such attempts and rally round the Government’s agenda to build a strong economy and a rich country by the year 2025. ‘බොදුබල සේනා’ ජාතිවාදී සංවිධානයක් ද?